A change will be made to the Waste Regulations 2011 on the separate collection of recycling that will clarify that commingled collections will continue to be allowed. This will happen once a consultation launched yesterday by Defra and the Welsh Government is completed and if it is backed in the consultation. However, it has also been signalled that both Defra and the Welsh Government intend to make the MRF Code of Practice mandatory to ensure high quality material comes from commingled collections. Following the Judicial Review which challenged the inclusion of commingled collections as a form of separate collection in Regulation 13, Defra and the Welsh Government have said that drafting changes are needed to ensure that the Waste Regulations 2011 reflect their understanding of the revised Waste Framework Directive more clearly. 13.– (1) This regulation applies from 1st January 2015. (2) Subject to paragraph (4), an establishment or undertaking which collects waste, paper, metal, plastic or glass must do so by way of separate collection. (3) Subject to paragraph (4), every waste collection authority must, when making arrangements for the collection of waste, paper, metal, plastic or glass, ensure that those arrangements are by way of separate collection. Defra and the Welsh Government have said in the consultation letter that there will be a general obligation to introduce separate collection, but if it is not “technically, environmentally and economically practicable” to do so, then commingled collection will be allowed. Also, Annex B of the consultation letter revealed that Defra and the Welsh Government are developing a programme of work to deliver improvements in the quality of recycling that will address this requirement as part of national waste management plans. “…An important part of this work is the proposed Materials Recovery Facility (MRF) code of practice. The Environmental Services Association (ESA) has developed a MRF code of practice, and Defra and the Welsh Assembly Government are currently considering how to develop the code to make it mandatory, and discuss a further draft of the code with key players in the supply chain (particularly reprocessors and local authorities) over the coming months. Responses to the consultation are sought by close on Thursday 12 April 2012. Want to find out more about this? Then attend the Achieving High Quality and High Value Recycling conference and networking event on 21 March at Warwick Racecourse. 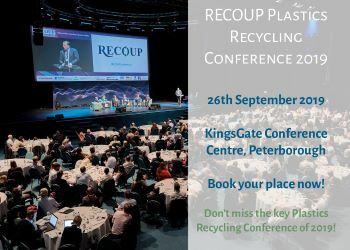 David Sher, head of policy at the ESA, will be speaking about the MRF code of practice, Steve Creed from WRAP will present on WRAP’s programmes on quality, while there will also be presentations from recyclers Chris Dow from Closed Loop Recycling and Ranjit Baxi from J&H Sales International. Bill Griffiths from Viridor and Kevin Thomas from Casepak will present on optimising MRF’s for quality.